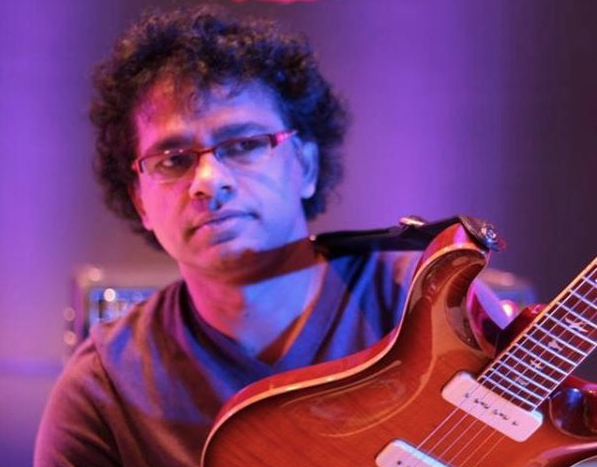 For his Aug Terraza 7 engagement, Prasanna will perform the music of legendary Indian film composer M.S. Viswanathan, along with some Prasanna originals. M.S. Viswanathan was one of Prasanna’s earliest musical influences growing up in Chennai, India. MSV was a pioneer in fusing Indian Carnatic and folk melodies with elements of Western Jazz, Cuban and other Latin American musical styles creating a rich tapestry of sound for over 1000 Tamil films. The accordion, guitar and bongos were three instruments so often heard in MSV’s music and will be featured prominently at this tribute concert. The musicians from Peru, Brazil, India and the US will bring a rich multi-cultural sound to the evening in tribute to MSV who recently passed away at the age of 87. No Replies to "Celebrating M.S. Viswanathan"